Gently absorbing excess moisture for silky soft skin, Johnson's® baby powder has a clean, classic scent. The incredibly soft baby powder formula glides over baby's skin to eliminate friction and leave it feeling delicately soft and dry for soothing comfort. 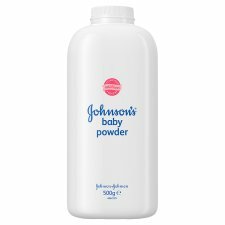 Shake Johnson's® baby powder directly into your hand, away from the face, before smoothing onto baby's skin after a bath or nappy change. Also suitable for you, use Johnson's® baby powder any time you want your skin to feel soft, fresh and comfortable.